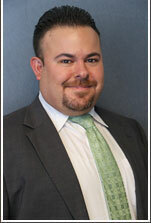 Jonathan Hernandez, a Miami native, is a senior associate at Foreman Friedman. Mr. Hernandez a former partner at Blanck, Cooper, and Hernandez, P.A. is a Florida board certified admiralty and maritime attorney (less than 7% of attorneys within Florida are board certified) who specializes in handling complex civil litigation, including admiralty, commercial, and personal injury claims. Mr. Hernandez practices in both state and federal courts, including the Eleventh Circuit Court of Appeals. He has provided representation for cruise lines, tour operators, port terminal operators, freight forwarders, NVOCC’s, warehouses, trucking lines, ocean carriers, and shipping lines. Mr. Hernandez has extensive experience handling cases involving wrongful death, personal injury, vessel arrests, limitation of liability, breach of contract, and cargo claims from their inception through trial.